A look at Freddie Mercury's life and his rise to fame as the frontman of legendary rock group Queen. We wonder if, as a little boy growing up in Tanzania (then called Zanzibar), Farrokh Bulsara knew he would become one of the biggest rock icons with one of the most legendary voices of all time. We bet if you asked him, he would have emphatically said yes. 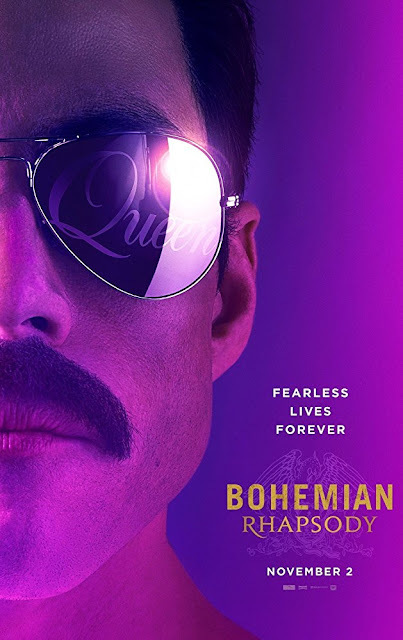 "Bohemian Rhapsody" is sort of directed by Bryan Singer. We say 'sort of' because he was fired from the project before it was done being filmed but is still credited as its director. Why, we have no idea, we can only imagine it has to do with a big long contract we don't understand. The uncredited director of the film is Dexter Fletcher, who has made movies like "Eddie the Eagle" and will be helming the upcoming Elton John biopic "Rocketman." The screenplay is written by Anthony McCarten, who has written biopics like "The Theory of Everything" and "Darkest Hour," along with Peter Morgan, who has penned his fair share of true-life stories like "Frost/Nixon," "The Queen," and "The Last King of Scotland." 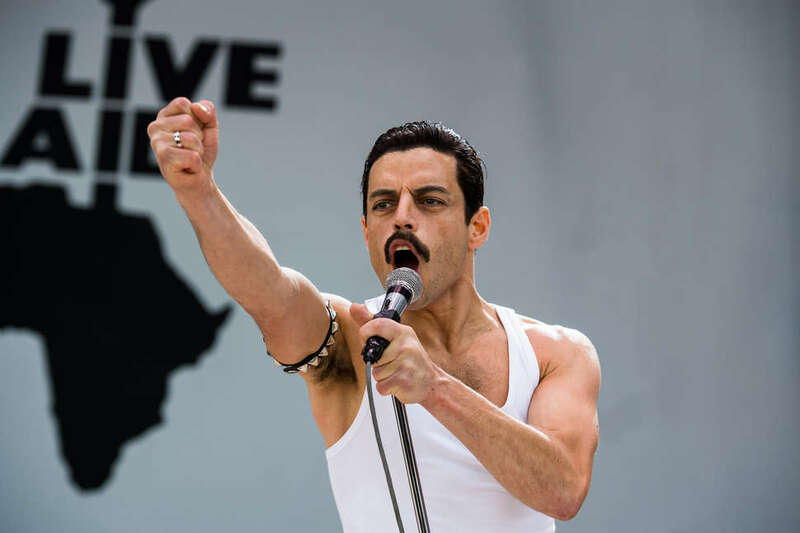 This film tells the story of Freddie Mercury (Rami Malek) from the time he joined up with Brian May (Gwilym Lee), Roger Taylor (Ben Hardy), and John Deacon (Joe Mazzello) to their performance at Live Aid in 1985. We've seen a lot of people judge "Bohemian Rhapsody" for what it isn't. We would rather look at it for what it is. What it is is an enormously entertaining dramatization of the life of Freddie Mercury. As to be expected, it is loaded with Queen's music, and that aspect alone makes it exceedingly watchable. However, the most crucial factor, the thing that makes it as engaging, compelling, and energetic as it is is Rami Malek's performance. 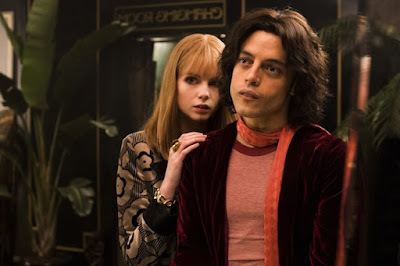 While we watched this movie, it wasn't like we were watching Rami Malek play Freddie Mercury, it was like we were watching Freddie Mercury himself reincarnated to star in his own biopic. Malek's performance is Oscar-worthy and is reason enough for anybody to see this film. In fact, all the casting is spot-on brilliant as each actor manages to embody their real-life counterparts remarkably well. Keep in mind, this isn't some gritty biopic that will taint your view of Mercury by revealing to the world that he was some secret monster. It's a biopic that already reinforces our own understanding of who we knew Mercury to be with several embellishments for dramatic purposes. The film covers his name change, his lifelong relationship with Mary Austin (Lucy Boynton, though she doesn't get much to do here which makes us sad), his sexuality, his diva tendencies, and his eventual death from AIDs-related pneumonia (though the movie does mostly gloss over his battle with the disease). We would like to remember Mercury as the rock-god he was hopping and gyrating around on-stage at Live Aid belting tunes and banging on his piano rather than a frail man dying in bed. 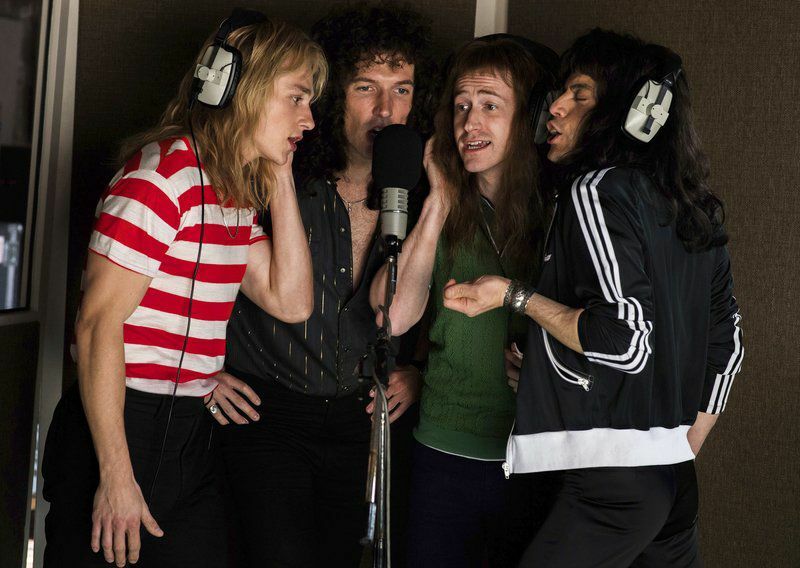 Look, "Bohemian Rhapsody" is not a perfect film, nor is it the best movie of the year. In fact, it has many flaws when looked at from a film school academic level of how narratives are supposed to be told. It can be a bit disjointed and messy. It has several dramatizations some viewers will dislike. It won't push the envelope far enough for some people. As fans of Queen and their music, however, we are the target audience for this film, and though we are too young to have seen Queen in concert at their height of their success, this is as close as we will probably ever get to having that experience, and there's something magical about that. Rami Malek's transformative performance will get you invested and keep you watching, and we guarantee you'll be tapping your toes and singing at the top of your lungs on your way out of the theater.